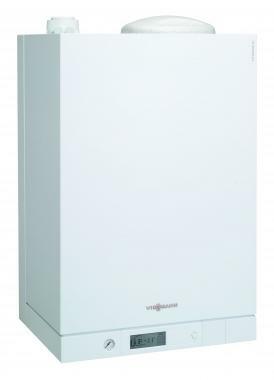 The B1LD vitodens 111-w is a combi gas boiler by Viessmann, with it also being a wall mounted condensing boiler. This boiler is a highly reliable unit, with it coming with a backlit LCD touchscreen to help make it easily usable in the dark or the light. This boiler has a modulating ratio over the entire output range of 1:6, with this being such a high ratio it makes the boiler perfect for those smaller apartments and the more insulated buildings. It is a gas fired unit from 4.7 to 35kW and having a modulating cylinder burner you can be sure that you are getting a reliable boiler! This boiler has an output of 35kW and an efficiency rating of 89.5% making its energy efficiency class B. This model comes with a constant temperature control and weather compensated operation when installed with the outside temperature sensor, so you can be sure you will never come home to a cold home again. This boiler comes with five years warranty so you can be sure that you are buying a reliable boiler.